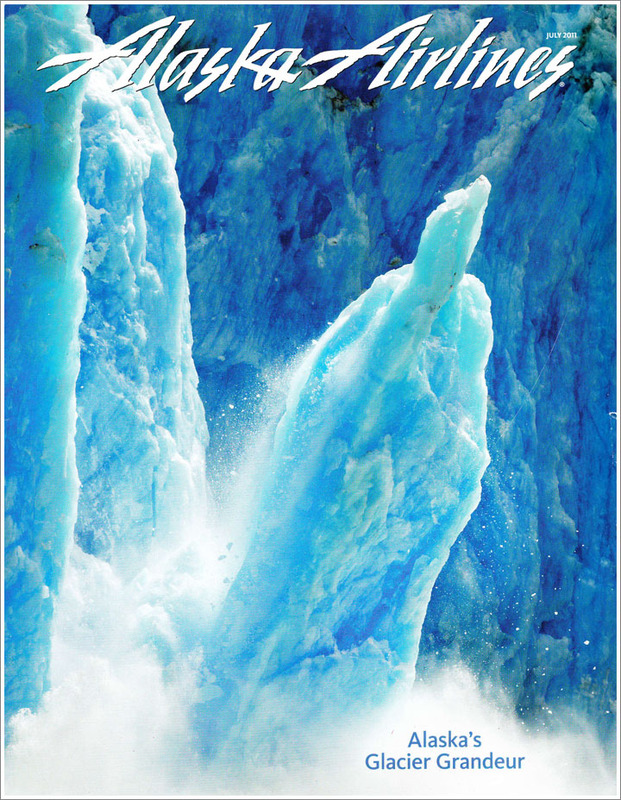 From the newstands, Alaska Airlines Magazine used one of my glacier images from Alaska on a recent cover. Photographed August 2, 2010 at Dawes Glacier along Alaska’s Inside Passage using a Canon EOS-1D IV and 70-200mm f/2.8 Lens. This entry was posted on Wednesday, December 21st, 2011 at 11:56 am. It is filed under News and tagged with Alaska, Glaciers, Landscapes, North America, Published Work. You can follow any responses to this entry through the RSS 2.0 feed.